Mount View Self Catering offers self catering holiday accommodation in a pod, 2 log cabins and a converted croft house. 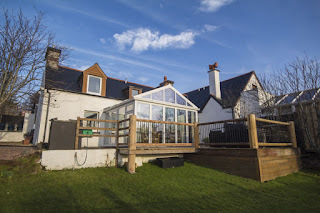 The self catering properties are in a delightful location on the shores of Lochinver, Sutherland. 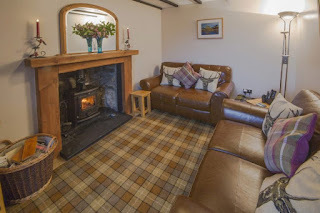 Ideally situated for both sea-loch and river fishing, coastal walks or mountain treks, and with opportunities to view various wildlife including Golden eagles, sea eagles, seals, otters and dolphins, our holiday properties really are the ideal get-away for the outdoor enthusiast, or those who simply seek peace and relaxation amidst stunning scenery. All of our holiday homes boast unrivalled views and positions on the loch. 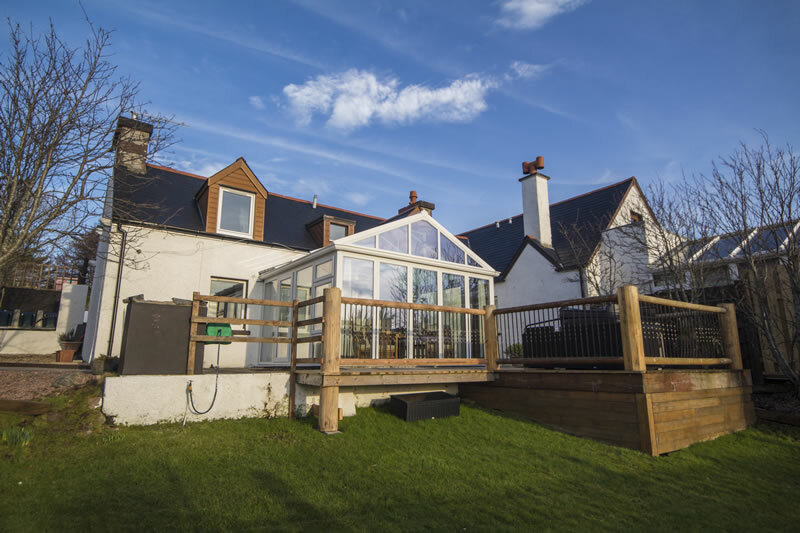 The cottage has an attractive conservatory which maximizes the views and is a stone’s throw from the loch shore! The two log cabins have equal prime locations on the loch front. Each has panoramic views across Lochinver to the Assynt mountains of Canisp and Suilven, providing a tranquil haven and excellent base for walkers and wildlife enthusiasts.